Living on an island in the middle of the Mediterranean Sea definitely has its advantages, and being in an optimal location to travel easily and visit many of the most beautiful countries in Europe, is not the least of these. Throughout the years, Malta’s location has always been of prime interest to different countries and individuals in power. Phoenicians and Carthaginian sailors and merchants used Malta’s specific location in order to further their trade and explore new lands. The Greeks and Romans were more than happy to manage such an archipelago for this reason, as well as to enhance the source of money pouring into their coffers. The Turks too saw the tactical advantage of conquering the one spot on the map which could be used as a stepping stone to the rest of Europe, while the French and the British, observing how Malta was being used as a keystone, preferred to take it under their wing as well. Today, Malta is an independent democratic country, yet its prime location remains, and most of its Maltese inhabitants use this fact to make the best bargains possible when it comes to choosing a vacation spot around the European continent, because obviously, since flights to certain locations take less time and are pretty straightforward, they also tend to be cheaper. The Maltese islands are situated approximately 165 kilometres away from Sicily, making this Italian island one of the favourite target of Maltese travellers. 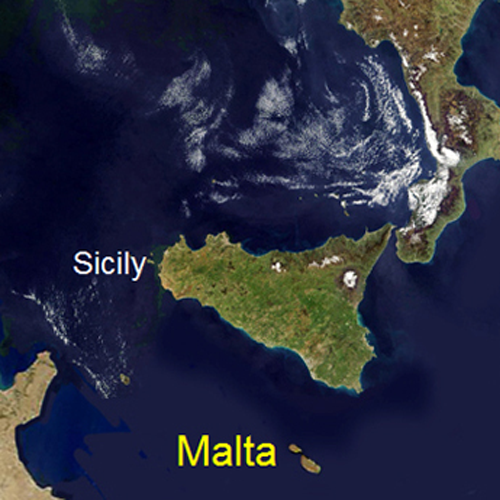 The relationship between these two islands is an old one, since at one point in history (until 1530) Malta was even part of the ‘Kingdom of the Two Sicilies’ (consisting of the unified Sicily and Naples), which at the time was the largest Italian state before the unification of Italy. So, in effect, Malta was under Sicily’s direct influence for four centuries. This influence, in fact, never actually left the Maltese, as can be seen from our culture, our traditions, our language, our architecture and even our cooking. After leaving Malta in 1798, the Order of the Knights of Saint John reverted to Sicily where their influence spread as it had done on our islands. Going to Trapani or Noto for example, one is sure to see the same architectural and artistic imprint the Knights Hospitalliers had left on the Maltese islands where they had introduced many Italian and Sicilian painters, artists, architects, and sculptors. 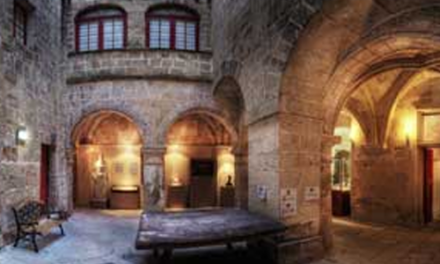 These enhanced our streets, churches, buildings, and especially the capital city of Valletta, with their works. Of special note are the artist Michelangelo Merisi, known as Caravaggio, the architect Francesco Laparelli, the painter Mattia Preti and the engineer Bontadino de Bontadini, who designed the Wignacourt Aqueducts. During the Second World War, Italy, which at the time was allied with Germany, bombed Malta, since at the time the island was a British colony. However it was later very quick to re-establish amicable relations with our island once more, in fact Italy was the first country to establish a diplomatic mission in Malta and the first to appoint a resident ambassador after Malta achieved independence, in 1964. In 2015, a 95-kilometre subsea cable from Magħtab in Malta, to Ragusa in Sicily, was commissioned to connect the electric power-grid of Malta with the Italian Transmission Network. This cable allows Malta to exchange electricity with the Italian power market. This is nothing less than another example of the many ways in which the two islands rely on each other even today, in that they are close not only physically, but culturally. Italy has an embassy in Valletta, while Malta has an embassy in Rome, and both countries are members of the European Union. However the ties that bind them together the strongest are surely those of tradition.